Here’s the latest update on cases from Portsmouth Magistrates’ Court. Eloise Clark, 22, of Warwick Close, Holmwood, Dorking, admitted assault occasioning actualy bodily harm on October 15 last year in Portsmouth. Magistrates imposed a community order with £2,500 compensation, £85 victim surcharge and £85 prosecution costs. Adam Foster, 35, care of Gosport Road, Fareham, was jailed for seven days. He had been taken to court for non-payment of a £2,231 fine imposed in June. 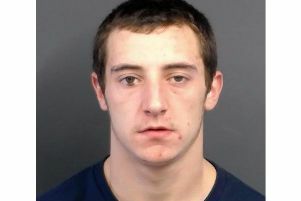 He was jailed for 17 days in totaly after admitting failing to turn up to court twice and interfering with a vehicle in Paxton Road, Fareham, on March 2. James Hunnisett, 33, of Almondsbury Road, Paulsgrove, was jailed for 232 days. He admitted two thefts, fraud, handling stolen goods another two thefts and breaching a suspended sentence. Hunnisett had been taken to court for non-payment of a £170 fine imposed in May and received seven days for this. Kerry Grzegorz, 41, of no fixed address, admitted theft of meat worth £25.28 from Aldi in Portsmouth. Magistrates imposed a conditional discharge for 12 months. She also admitted attempting to steal a mobile phone and blood pressure monitor on May 21 and must pay a £20 victim surcharge. Simon Redgell, 25, of no fixed address, admitted theft of alcohol worth £10 from Fareham Co-op on May 1. Magistrates imposed a six-month conditional discharge with £20 victim surcharge. Benjamin Shepard, 30, of Freemantle Road, Gosport, admitted sending an indecent, obscene or menacing communication. Magistrates imposed a 12-week jail term suspended for six months. A restraining order bans him from contacting the victim for a year. Shepard must pay a £115 victim surcharge and £85 prosecution costs. Amy Brown, 28, of Foxley Drive, Copnor, admitted drink-driving on the M27 at junction 9 on June 14. She was caught in an Audi A5. A test revealed she had 57 microgrammes of alcohol in 100 millilitres of breath. The limit is 35. Magistrates banned her for a year with a £250 fine, £30 victim surcharge and £40 prosecution costs. Connor Bula, 21, of Roebuck Avenue, Fareham, was banned for a year after admitting drug-driving. He had cannabis in his blood on April 13 in Fareham. Magistrates fined him £120 with a £30 victim surcharge and £40 costs.